Our most popular range, now updated to use the low Global Warming Potential refrigerant R32. If you are not sure which unit you require, this is probably the range to select. Perfect for domestic, small to medium offices and commercial uses. These models offer industry leading noise levels as low as 19 dBA and have a distinctively styled front panel that not only looks appealing, but also helps to make cleaning of the unit easier. To aid control and energy saving, the new universal controller has in built 7 day timeclock. 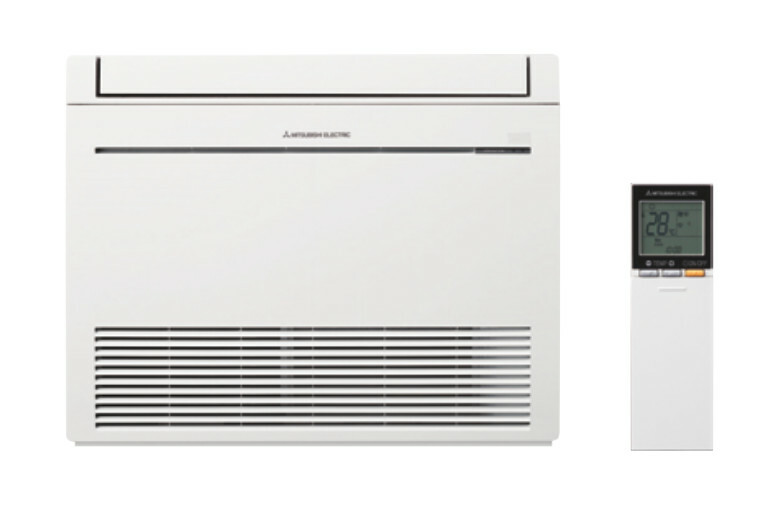 These models offer industry leading noise levels as low as 21dBA and have a distinctively styled front panel that not only looks appealing, but also helps to make cleaning of the unit easier. To aid control and energy saving, the new universal controller has in built 7 day timeclock. The MSZ–LN range is a wall mounted system that blends energy efficiency with a sophisticated streamlined design. Boasting outstanding benefits, this high performance unit includes i–see Sensor technology and state of the art Wi-Fi control as standard. Finished in a range of deep, rich colours and with a premium quality feel, this inverter range utilises low GWP R32 refrigerant. The Power Inverter range is designed for installation in the most demanding locations such as server rooms and where the distance between the indoor and outdoor units is particularly long. Our wide range of Power Inverters offer customers high seasonal efficiency, advanced control options and quiet operation, whilst providing greater flexibility and ease of installation. The MFZ-KJ series is extremely versatile and is designed for wall attached installation at floor level. 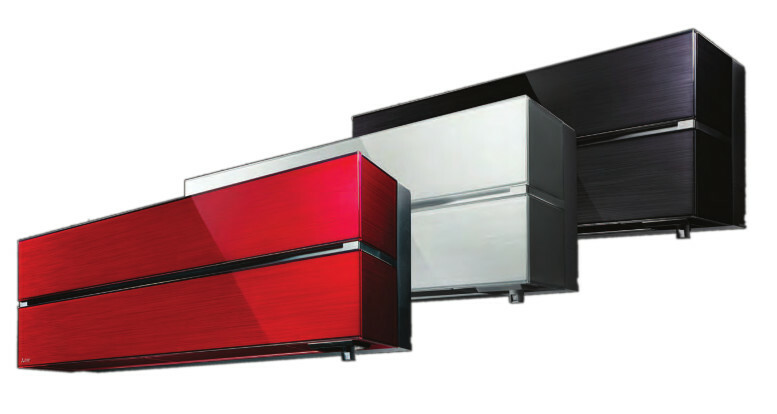 These units are ideal when it is not possible to fit a high level wall mount unit for aesthetic or practical reasons. They are suitable for a wide range of applications including domestic, small to medium offices and commercial uses. 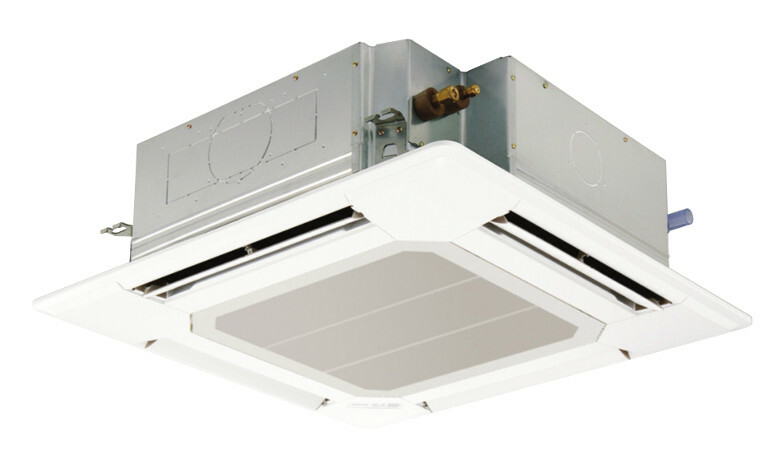 The SLZ cassette unit provides the smart solution to comfortable and efficient air conditioning. It combines a stylish square design slim line grille with the latest energy-saving technologies and is designed to fit snugly to ceilings making it ideal in both offices and retail. 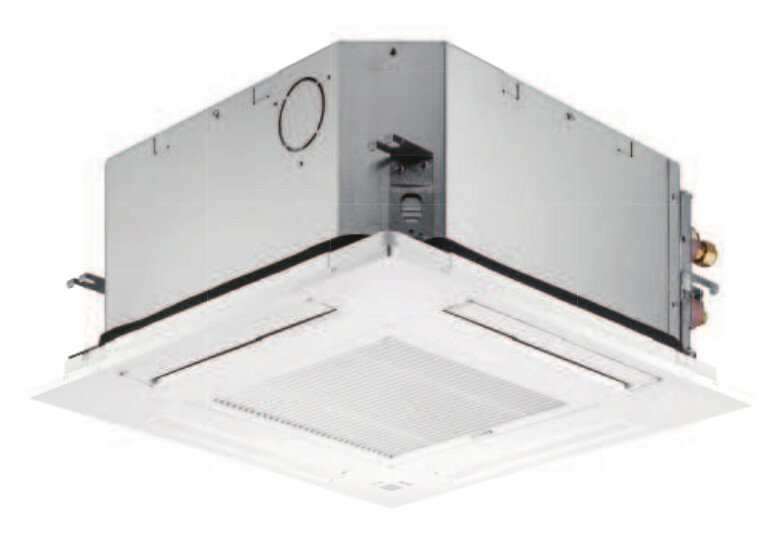 With a new narrow design it fits into narrow ceiling spaces with a height of only 245mm, and it is sized to fit in an existing suspended ceiling. Wtih power outputs of up to 14kW, the inverter ceiling cassettes are perfect for use in larger offices and retail settings. The Mr Slim Inverter cassette range offers customers all the features and benefits of inverter technology whilst being extremely cost effective. *Based on 10% deposit. Subject to status. Copyright 2011-2017 Heidi Air Conditioning - Updated on 24 January 2019.